DocuSign made public on Wednesday the paperwork it filed in advance of an initial public offering (IPO). The electronic signature company is nominally seeking to raise as much as $US100 million. Although it is 15 years old, Docusign posted strong revenue growth and big losses in the most recent fiscal year it disclosed. 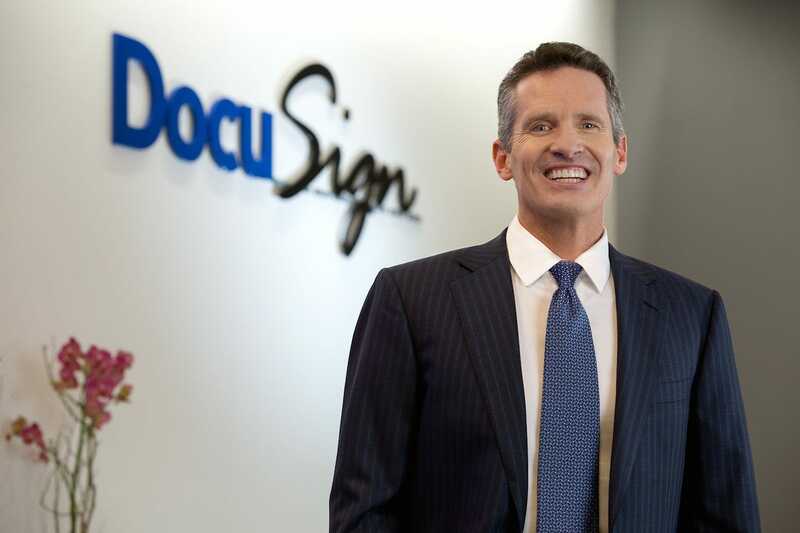 DocuSign is indeed planning to go public. The electronic signature company on Wednesday made public its S-1 document, the first regulatory step to an an initial public offering. DocuSign, which plans to list its stock on the Nasdaq market under the ticker symbol DOCU, did not specify in the document how many shares it plans to sell or the price at which it plans to sell them. It nominally is seeking to raise as much as $US100 million in the offering. The move follows reports from last week that Docusign had confidentially filed the paperwork with the Securities and Exchange Commission. The offering has been a long time in the making. The San Francisco startup is 15 years old and was founded during the early excitement over e-signatures. It was valued at $US3.1 billion ($AU4 billion) in 2015 in its last private funding round, according to PitchBook. The company is only the latest enterprise software firm to seek an IPO in what’s turning out to be a hot market for tech offerings. Despite its age, the company finances – revealed publicly for the first time on Wednesday in the S-1 – make it appear like other tech startups: Its sales grew rapidly last year, but it’s also posting big losses – or at least it was as of January 2017. Although the company’s fiscal year ends January 31, Docusign didn’t include in its filing its operating results from its most recent fiscal year. Total sales: Grew from $US250.5 million in fiscal 2016 to $US381.5 million in fiscal 2017. Subscriptions revenue: Grew from $US229.1 million in fiscal 2016 to $US348.6 million in fiscal 2017. Gross margin: 70.5% in fiscal 2016. 73.1% in fiscal 2017. Operating loss: Declined from $US119.3 million in fiscal 2016 to $US115.8 million in fiscal 2017. Net loss: Dropped from $US122.6 million in fiscal 2016 to $US115.4 million in fiscal 2017. Total customers: Grew from 210,000 at the end of fiscal 2016 to 285,000 at the end of fiscal 2017. Enterprise customers: Grew from 23,000 to 30,000 over the same period. Principle shareholders: Sigma Partners (12.9% of outstanding shares), Ignition Partners (11.7%), Frazier Technology Ventures (7.2%). Insider holdings: Keith Krach, chairman and former CEO, 6.3% of outstanding shares; Thomas Gonser Jr., founder, director, and former chief strategy officer, 1.5%. CEO Daniel Springer holds 3.2 million restricted stock units.